There is. There are, How many..? 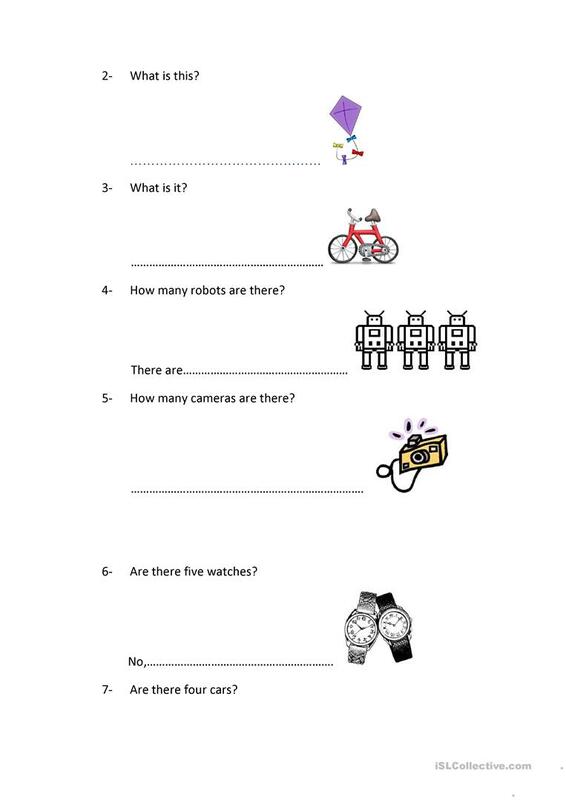 A worksheet for kids who wants to practice there is, there are and how many structure. There is also a fill in the blanks activity about numbers 11 to 20. 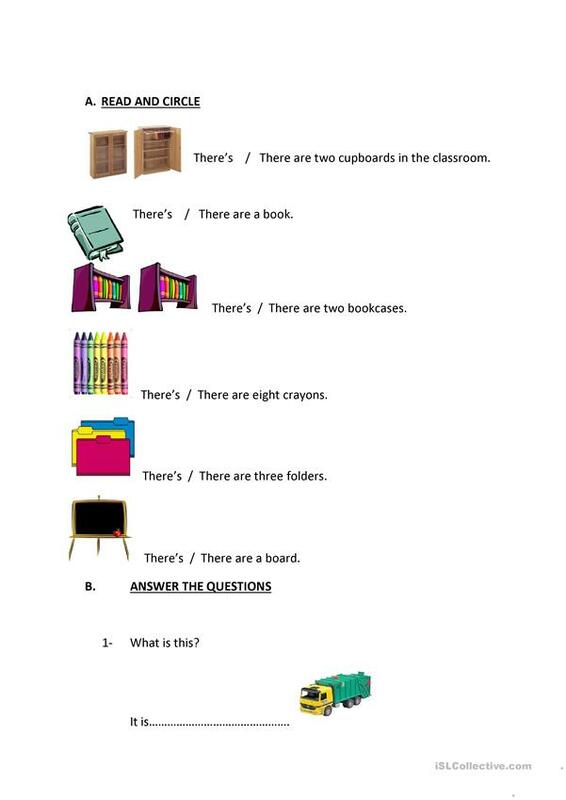 The above printable, downloadable handout is recommended for elementary school students at Beginner (pre-A1) and Elementary (A1) level. It was designed for improving your groups' Reading and Writing skills. It features the vocabulary topic of Classroom. tugcederman is from/lives in Turkey and has been a member of iSLCollective since 2011-11-15 09:48:30. tugcederman last logged in on 2019-04-17 09:54:08, and has shared 1 resources on iSLCollective so far.